OBJECTIVES Computational Fluid Dynamics (CFD) is the branch of science dealing with simulation of fluid flows with heat and mass transfer in various engineering and natural objects. 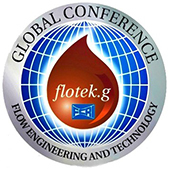 Fluid flows play the key role in the working process of many modern engineering devices. Designing of these devices for the required operational parameters is impossible without reliable prediction of characteristics of these flows. CFD plays a vital role in modeling and design optimization of modern engineering devices. The course is designed to cover the essentials of CFD with software application and case studies. TARGET GROUP Technical Personnel from Civil, Mechanical, Chemical, Hydraulics, Aeronautical & Scientific and Academic Faculties, Researchers and others from relevant field. For Research Scholars & Academic staff Rs. 10,112/-. For those working abroad US $ 749 per participant.